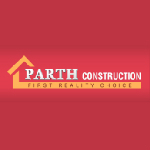 Parth Constructions started its voyage in the year 2000, under the kind headship of Mr. Rajnish Singh, the Owner of the company. The major share of success of the company can be attributed to the Owner of the company as well as the team of dedicated professionals who work relentlessly for serving the clients. It dint take long for our company to be recognized as the renowned property realtor in Lucknow. We primarily deal in buying, selling and renting of houses in Dehradun as well other major parts of the country. If you are looking for lands and plots in Nainital then, we can help you in finding the best property at the most economical price for you. We even share a good reputation with the major builders & developers of the country. Our in-depth market knowledge and voluminous experience enables us to cater to the requirements of the clients efficiently. Moreover, we are always ready to serve the clients and assist them in every aspect of real estate.